This page contains a single entry from the blog posted on February 22, 2006 10:21 PM. WHEN: Wednesday, February 22, 2006 at 10:30 a.m. The announcement will take place on the rooftop, weather permitting, which will provide excellent views of the waterfront and neighborhood. (In case of inclement weather, the news conference will be moved indoors.) Directions will be provided in the building lobby. The Waterfront Preservation Alliance of Greenpoint & Williamsburg is a group of neighborhood residents dedicated to preserving the architectural heritage of north Brooklyn. WPA is pleased to announce that the Preservation League of New York State has listed the industrial heritage of Williamsburg and Greenpoint as one of its “7 to Save” list of threatened historic resources in New York State. Each year, the Preservation League of New York State spotlights historic properties that exemplify challenges facing historic places across the state. These seven valued historic places are in danger of disappearing because of lack of funding and financial incentives, insensitive public policies, general neglect, and disinvestment. Through the “7 to Save” program, the Preservation League pledges to work with local partners to provide legal assistance, technical services and advocacy support, with the goals of eliminating the threats to these places and to reaching meaningful solutions. The historic buildings of Williamsburg and Greenpoint are a standing monument to the neighborhood’s former industrial glory and provide housing and business space for many area residents. Despite their continued viability, many of these buildings are in danger of being demolished or inappropriately altered. Because of its location on the East River, the Williamsburg and Greenpoint neighborhoods were once among the most prosperous industrial areas in New York City. 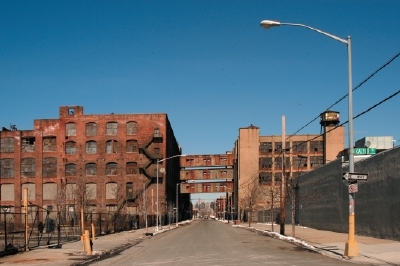 Many large-scale factories remain, together with the low-rise residential buildings that housed workers and managers. Many areas, such as Grand Street, retain their mixed-use 19th-century character. Members of the Waterfront Preservation Alliance of Greenpoint & Williamsburg welcome the support of the Preservation League and its staff in developing tools to promote the preservation existing built resources and the need for development that is appropriate to the historic character of this area. See what we are talking about after the jump. 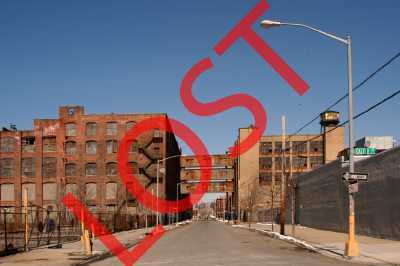 For additional images and locations of threatened buildings, please contact WPA at landmarks at waterfrontalliance. org. 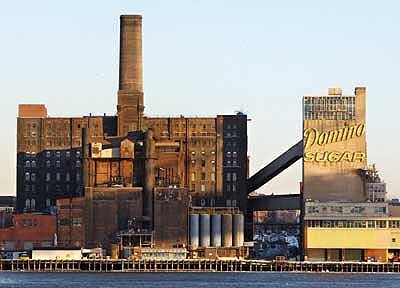 American Sugar Refining Co. (Domino), 2004. Status: Sold by Domino Sugar to a development team. To be rezoned and redveloped as residential. 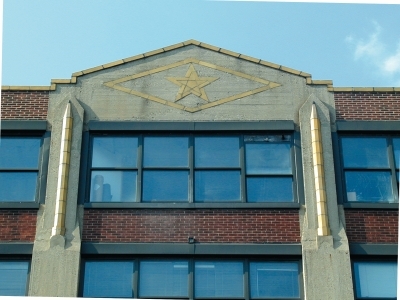 American Manufacturing Co. (Greenpoint Terminal Market). Once the home of the largest rope and jute mill in the world. The complex is a mix of 19th and 20th century industrial buildings. It is defined by such details the dramatic bridges that cross West Street and the wood sidewalk on West Street. Status: Rezoned as part of the waterfront rezoning; future unknown. 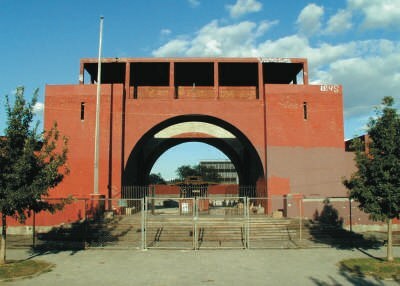 In one of the most spectacular acts of arson in recent memory, GTM burned down on 2 May 2006. While some of the buildings survived the fire, many of the features that characterized the site were destroyed. 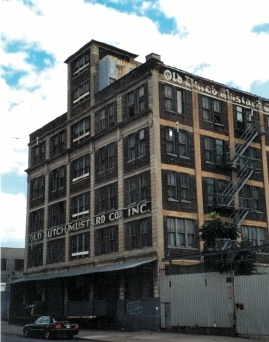 Old Dutch Mustard Co., 2004. Reinforced-concrete daylight factory with Classical details. Originally constructed as a rag and paper warehouse, and occupied by the Old Dutch Mustard Company from 1930 to 1980. Designed by Williamsburg’s most prolific architect at the turn of the 20th Century. Status: Part of a larger development site, recently rezoned for residential use. Currently on the market; future unknown. Demolished, because it "behooved" the developer, Douglas Steiner. Had the building been a landmark, Mr. Steiner could have qualified for special permits from City Planning that would have allowed him to waive aspects of the zoning that may have prevented him from saving this building. Mr. Steiner also might have been eligible for a substantial 20% credit on the rehabilitation of the building. 280 Franklin Street c. 1930 A unique art moderne factory building with a distinctive rounded corner constructed of glass block. 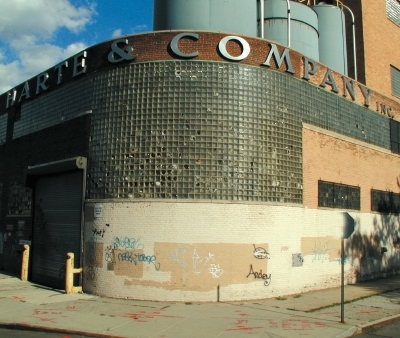 The Harte & Co. Building is one of a number of distinctive pre-World War II industrial buildings in Greenpoint & Williamsburg. Status: Part of a larger redevelopment site, recently rezoned for industrial use. 75 North 11th Street Theobald Engelhardt, 1900 The distinctive concave corner of this former cooperage originally contained a cast-iron stair and ramp for unloading barrels. 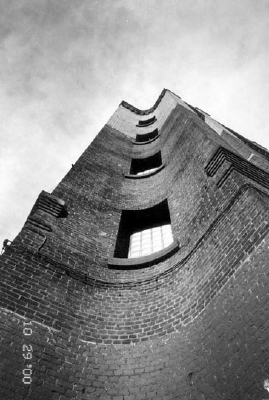 Designed by one of Williamsburg’s most prolific architects, with intricate brick detailing. Status: Now a mixed-use building; retained as industrial under the rezoning, but currently underutilized as an industiral building. For sale signs posted prominently on the building. The Northside of Williamsburg once had a thriving meatpacking industry, rivalling that of Gansevoort Market in Manhattan. 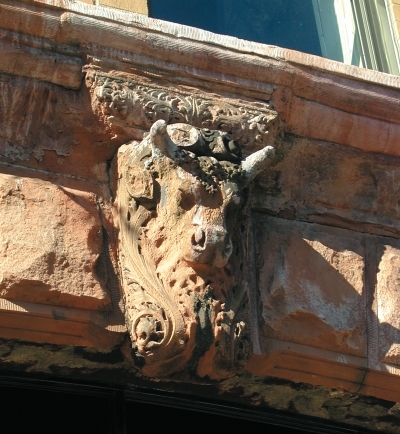 The Pacific Beef Co. building is one of the smaller survivors of this era, but is distinctive for its carved bovine brownstone decoration. Remnants of the meatpacking industry still remain on North 6th Street to this day. Status: Rezoned for residential use, with a signifcant increase in allowable bulk. Like many industrial and residential properties in the Northside, this building is now signifcantly underbuilt. Eberhard Faber Pencil Factory, 2005. Greenpoint Avenue to Kent Street, West to Franklin Streets 1880 – 1887; 1912; 1931 The original home of the Eberhard Faber pencil company wa located in a series of buildings near the foot of Greenpoint Avenue. The earlier buildings were purchased by the Eberhard Faber Company and adapted for their pencil manufacturing operations. 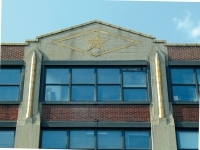 Later buildings were constructed by Eberhard Faber, including the iconic Pencil Factory building, with its terra-cotta yellow (#2?) pencils decorating the facade. Status: Despite being the only block in northern Greenpoint kept as industrial in the recent rezoning, a number of redvelopment plans remain on the boards. These include a proposal for a 10-story hotel on Kent Street. Constructed from the 1820s to the 1890s, the workers’ housing of Greenpoint & Williamsburg represents a wide range of vernacular 19th century architecture. 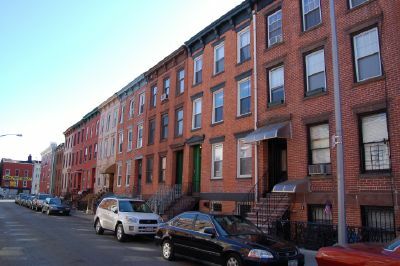 These buildings inlcude many single-family residences and smaller flat houses in areas such as Fillmore Place, Grand Street, Southside and Northside Williamsburg and Greenpoint. Status: In the current real estate market, many of these buildings are threated with demolition as part of larger redvelopment sites.